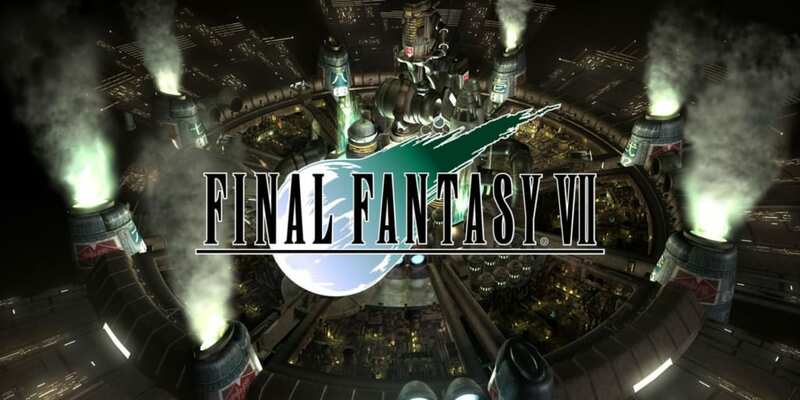 A complete walkthrough for Return to Midgar in Final Fantasy 7 (FFVII) including enemies encountered, obtainable items, and boss strategy guides. Bahamut Zero Forgotten Capital Crystal Room. Can only be obtained if the player has both Bahamut and Neo Bahamut. Elixir Chest in the Midgar underground passage. Megalixir Chest in the Midgar underground passage. Elixir Box at the bottom of the Hojo’s area. Mystile Box at the bottom of the Hojo’s area. Missing Score Chest on the stairs to Hojo’s area. Head to the Forgotten Capital with Bugenhagen. Listen to Bugenhagen to operate the machine. Get the Key to the Ancients from the underwater cave. Battle Reno, Rude, and Elena. Climb the metal structure outside the Shinra building. Head to the Forgotten Capital and take the leftmost path from the main road. Afterwards, follow the path on the bridge going right and listen to Bugenhagen. In the next room, approach the crystal by going around to the path stretching right. If you already have Bahamut and Neo Bahamut, you will be able to obtain Bahamut Zero in the area. 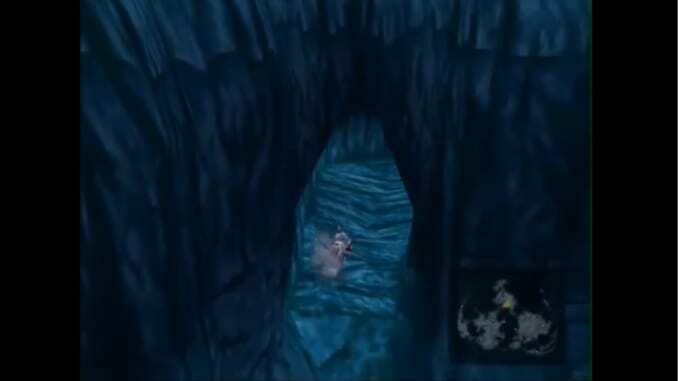 Next, get the Key to the Ancients in the underwater cave. Use the submarine and travel to the northern continent. Dive and look for an underwater cave. You will see a landmark at the end where the Key to the Ancients is obtained. Return to Bugenhagen in the Forgotten Capital afterward. Diamond Weapon will appear in the sea when you return to the Highwind. Fly to the shore and get ready for a boss battle. Diamond Weapon is vulnerable to lightning magic. The boss switches between physical and magic immunity, so watch whenever attacking to find its current immunity. Do not bother trying to poison it as it is extremely resistant to poison. Using any powerful summon, especially Knights of the Round and your newly obtained Bahamut Zero, the team can quickly burst the boss down. 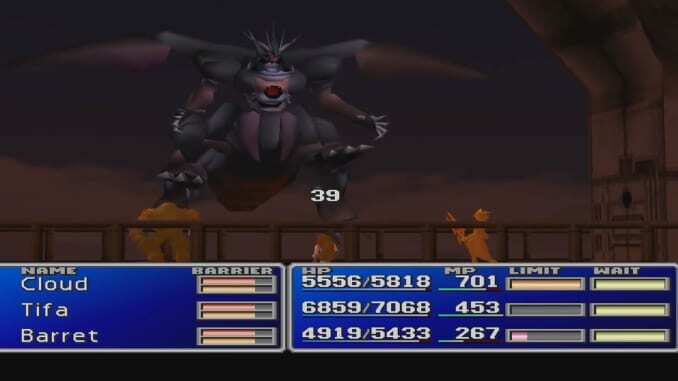 Ultimate Weapon is hovering over Midgar. 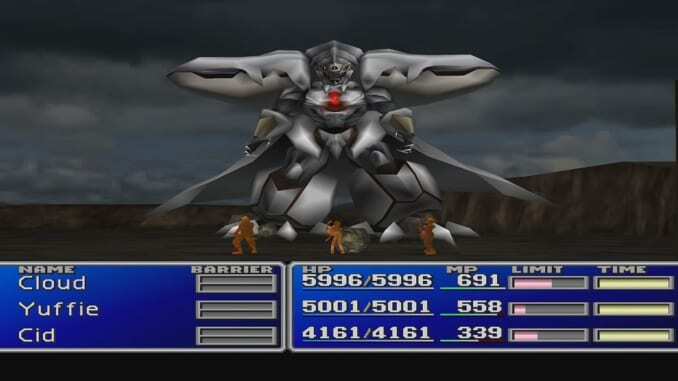 Defeating it will grant the player Ultima Weapon, Cloud’s strongest weapon. It is recommended to save before engaging as you might find yourself going into Midgar instead. Ultimate Weapon is fought multiple times, running away after each encounter. Below are the locations where Ultimate Weapon can be found each time it runs. Its last location will be in Cosmo Canyon. Ultima Weapon has various powerful attacks, most notably Shadow Flare. Start the battle with Big Guard for defense. Have any ranged characters use physical attacks while the rest of the party bombards it with lightning magic. When you find yourself low or debuffed, use White Wind. Reapply any defensive buffs you need and continue hitting it with lightning magic to win. Before proceeding to Midgar. It is advised to complete all Wutai Sidequests first, though. 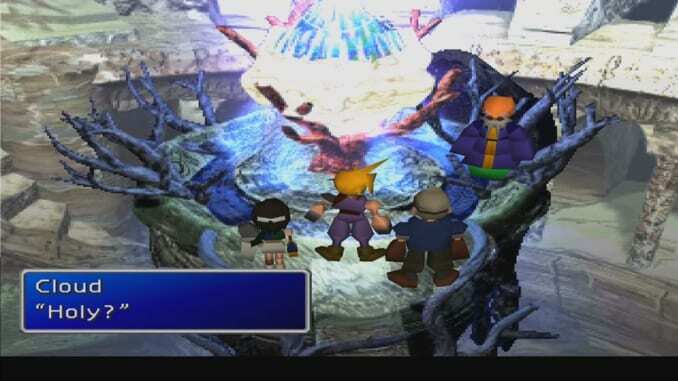 The events at the end of this part will take you immediately to disk 2 and the Wutai Sidequests can not be done from disk 2 onward. Fly to Midgar and watch the cutscene. Afterward, go to the underground passage using the tunnel. After you come down from the ladder, follow the path right across the metal walkway to get the Megalixir and Elixir on the opposite end of the platform. Afterward, come back to the starting point of and walk down the long stairs. Go down the ladder to the next area. Then, go left and climb up the ladder to that takes you back to the previous area and get the Aegis Armlet in the chest. Climb down again to the lower area. Head to the right and climb down to the tube below from the gap. Go left and up the ladder to return to the previous area yet again. Go left and enter the duct. Get the Starlight Phone on the left and an Elixir on the right. Go down and jump on the duct on the right to return to the previous area. Then, climb the ladder and get Max Ray to the upper left. Return to the duct and take the long stairs in the lower area. Enter through the door to battle the Turks. 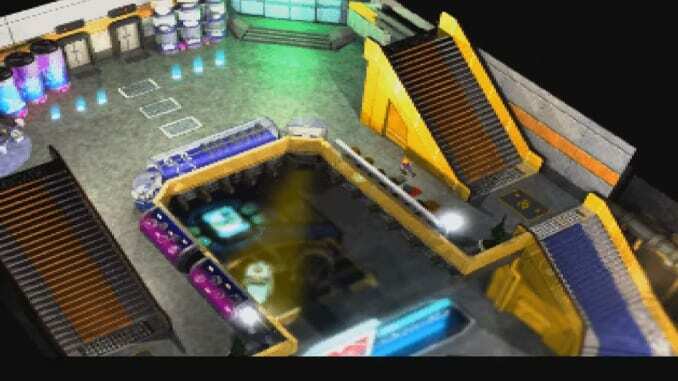 To reach the Shinra Building, take the right passage at the first branching path and left at the second. Head inside the air duct to reach the building. When you enter the building, go up the stairs to reach the second floor. Enter the room in the upper right corner with the green sign. Pick up the Master Fist and Pile Bunker inside before exiting. Then, head to the third floor and enter the elevator. 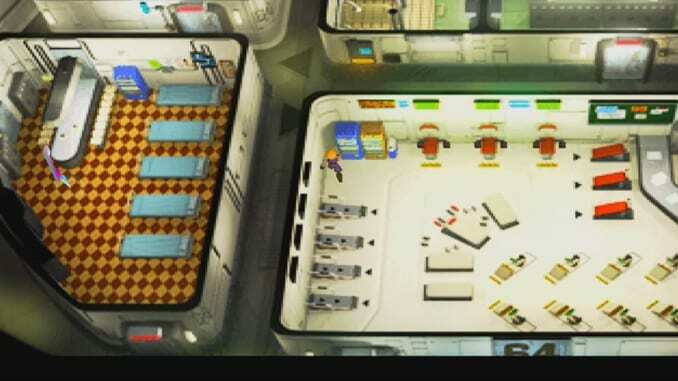 Move to the lower right corner of the room and enter another elevator. Go to the 63rd floor to get Grow Lance. Return to the elevator and head to the 64th floor. You can bang on the vending machine to get a Mind Source and Speed Source. Proceed to the lockers on the upper left to get HP Shout. You can get Behemoth Horn for Red XIII on the fire escape. Before finally leaving the building, make sure you have found the Turtle’s Paradise flyer on the bulletin board on the first floor. You will not be able to come back afterward. Head to the first floor and exit the building. Return to the duct and go back to the forked path. Proceed south to the lower path. In the next area with the leak, go south again and then down the tunnel on the left. 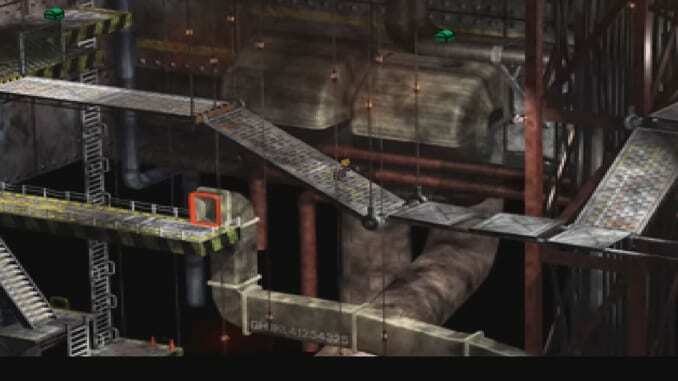 From there, climb the structure and jump to the left for a cutscene and a boss fight. When the fight begins, remember to cast Big Guard or Barrier for defense. 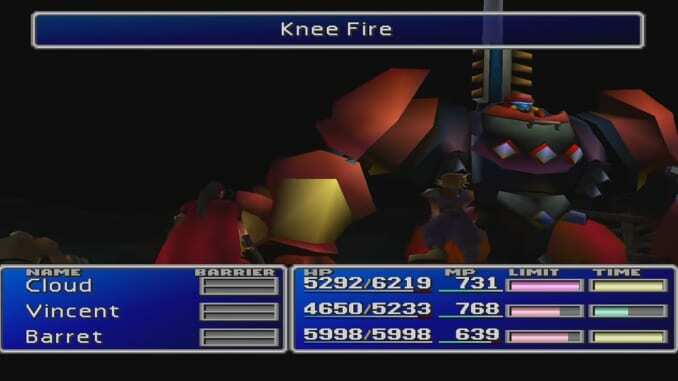 Afterward, just focus on hammering the boss with magic, summons, and Limit Breaks. Remember to heal up, as the boss will use more powerful attacks when it is low on HP. Go up the path and get the Elixir and Mystile in the boxes. Climb up the ladder to get Missing Score on your way up. Get ready to battle Hojo at the topmost area. 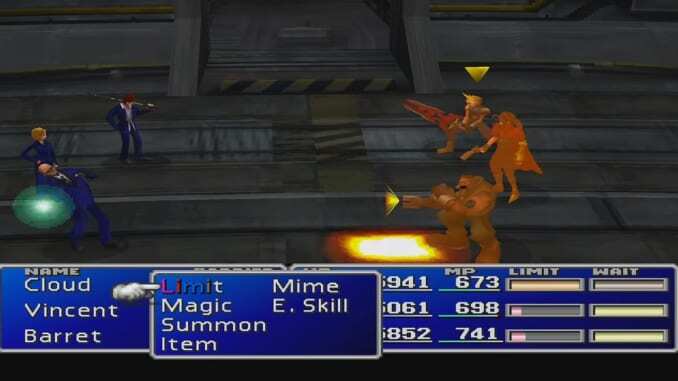 During the first phase of the fight, Hojo will summon two minions to aid him in battle. Don’t bother with the minions and focus your attacks on Hojo. The boss will transform into Heretic Hojo after his boss has been battled. The boss will inflict status effects in this form, so be sure to have White Wind at the ready. You can also have Ribbon equipped to make the fight trivial. Throw your big spells at him and use Limit Break whenever you get the chance. Hojo will yet again transform after taking more damage. He will inflict more status effects like Silence, Slow, and Sleep. He additionally has a devastating combo attack that does a good amount of damage. Having the Ribbon equipped will be a great help. Just keep using summons, magic, and Limit Breaks while removing debuffs from your party.